Rabbi Avraham Schorr is a prominent Rabbi in Flatbush, NY and Rav of Kahal Tiferes Yaakov at 1212 East 15th Street. 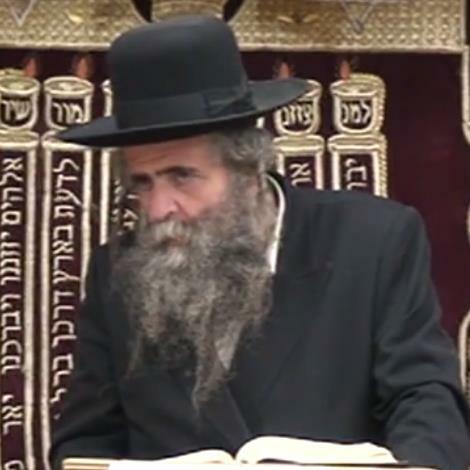 He is the son of the late Rav Gedalia Schorr former Rosh Yeshiva of Yeshiva Torah Vodaas and brother of Rabbi Yisroel Simcha Schorr, current Rosh Yeshivah of Ohr Somayach, Monsey and one of the General Editors of the English and Hebrew translations of Artscroll's Schottenstein Edition Talmud. Rabbi Schorr is a highly sought after speaker among Orthodox Jewish communities known for his fiery and inspiring speeches. Rabbi Schorr has produced numerous publications including the compiler of Ohr Gedaliyahu and numerous other works. His lectures, mostly in Yiddish, but also English, are threaded from multiple sources to clarify the meaning of daily prayers, ethical teachings, and detailed commentaries on the Talmud. He holds a regular schedule of lectures, and has a following about more than 100 students who learn daily "Daf Yomi", the daily learning of the Talmud. His lectures have been described as "thick" with content, challenging his audience to keep pace with his multi-threaded points. His late Shabbos Evening meals are attended by hundreds of followers.